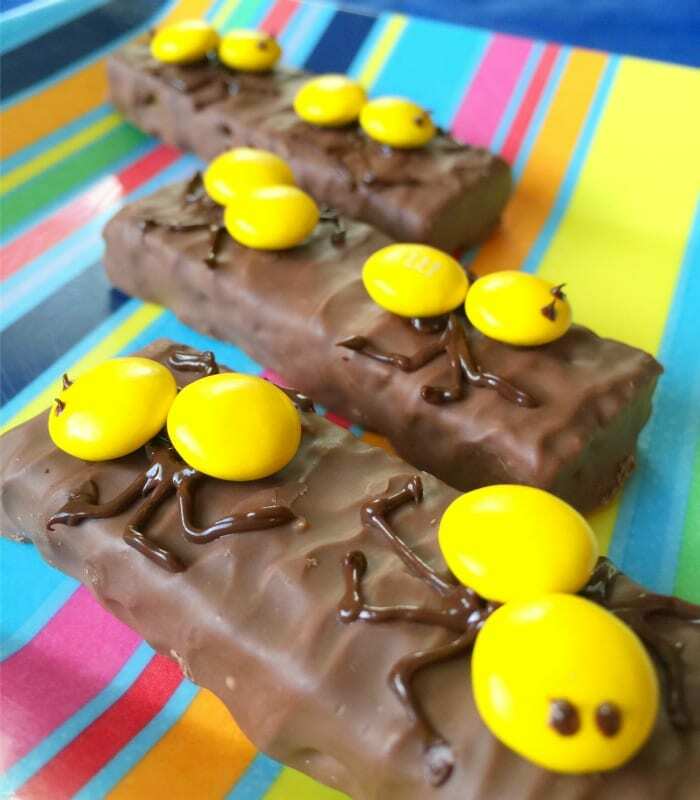 Next time your kids are stuck inside, throw a living room picnic and make them these yellow ants on a log granola bars! They're going to love them! Microwave on high for 30 seconds or until just melted enough to be stirred with the tip of a knife. 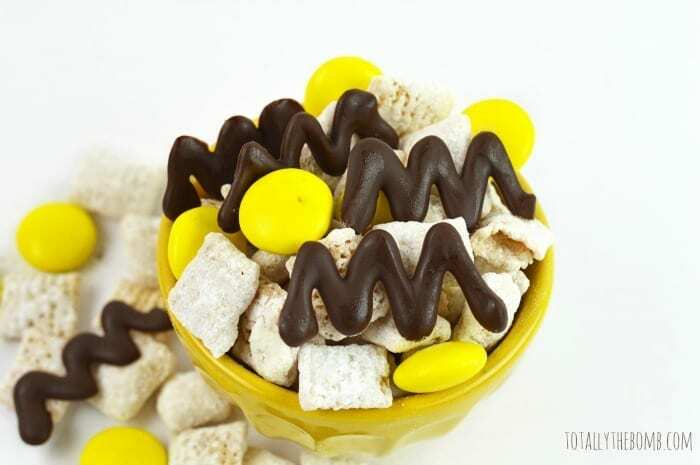 Turn a sandwich bag inside out over your hand and scoop up the chocolate. Turn the bag right side in and press the chocolate mixture into one corner of the bag. With a sharp knife, just barely cut the corner of the sandwich bag off so that you have a teeny tiny hole from which you can pipe the chocolate. The smaller the better. Pipe two small dabs of chocolate onto the top of the bar and affix two M&M's candies onto it. The melted chocolate will act like a glue to hold the body of your ants onto the log. Repeat this process to form the body of your second ant. Pipe two eyes onto your ants. Pipe three legs on each side of your ants radiating out from the center of the body where the two M&M's candies meet.